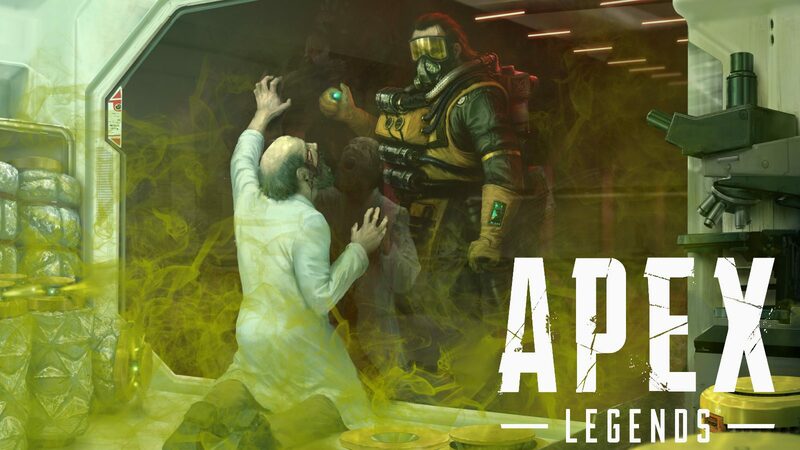 Caustic is probably the most stinky hero of Apex Legends. He uses deadly toxic to choke his opponents. His character is well balanced and made for setting traps. But if not used right, Caustic can cause trouble for his own teammates. This guide will tell you how you can use his abilities to squad’s advantage. Your hero can detect enemies trapped inside his smoke radius. Cool right! This is an extremely overpowered ability. Caustic can produce a field of smoke which would comprise enemy team’s vision. Not only it would handicap them but this ability would also create a killing field for you. Caustic can also use this ability to escape from enemies when cornered. Use the Nox Grenade to blind enemies and then you could just escape their area or you could go ahead and try to kill them. Although Nox Grenade is a very useful tool at Caustic’s disposal still, it would also blind your own squad preventing them to look for enemies. You should throw the grenade at the place from where your team could have the decisive advantage against enemies. You would not want to slip away your squad’s kill now would you. Nox Vision can is an extremely useful ability if used correctly. Nox Gas trap is another of those abilities, using which can give you a big advantage against enemy teams. This trap could be placed anywhere on the ground. It will be auto activated whenever any enemy walk passes by it. Caustic can also activate the trap by shooting it. The thing to keep in mind here is that Caustic can only lay 6 of these traps at a time. You better place them in the corners or behind door, so enemies won’t see them. Biggest advantage in any competitive game is surprise. This Nox trap will provide you the bonus of surprise with an additional gift of handicapped enemies. If you are getting cornered by the enemies, set the trap near your feet. During the chase, if enemies come near you, they will get blinded but you will be able to see them clearly. Nox Grenade is a thing of beauty or dark beauty should we say. It spreads over the area after the blast and cover a small region in a cloud of toxic gas. This toxic grenade could be best used to clear out houses. Enemies sitting inside will be forced to come out. And if they won’t, they will die. Don’t try to throw this grenade at an enemy who is rushing towards you as Caustic will take some time to enable the grenade and you could get killed in the meanwhile.